KUWAIT, May 8 (Reuters) - Kuwait said on Thursday it signed a $150 million contract with U.S. Excelerate Energy to build import facilities for liquefied natural gas (LNG) for completion by 2009. Kuwait is short of gas for power generation during the peak period of electricity demand in the summer, when the country often suffers from blackouts. The country plans to begin LNG imports next summer to help plug the shortfall. 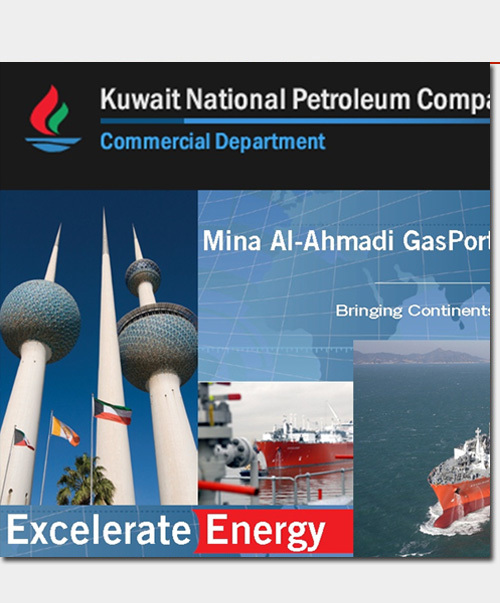 The deal with Excelerate was signed on March 31 to equip the south pier at Ahmadi port for LNG imports, which will start in 2009, state refiner Kuwait National Petroleum Co (KNPC) said in a statement posted on its website on Thursday. "This move came in response to the rising demand of gas and other energy sources by the Ministry of Electricity during summer time as the current volume of gas production in Kuwait does not meet the minimum needs of the power generating sector," said KNPC in a statement. Kuwait is in talks with fellow Gulf Arab state Qatar for LNG imports. Qatar is the world's largest exporter of LNG, which is gas chilled to liquid form for shipping on specially designed tankers.